Master Box Dimension : 25" X 13" X 14"
Cell phone holder clip is great to use anywhere, office, desk, bed, even the kitchen. 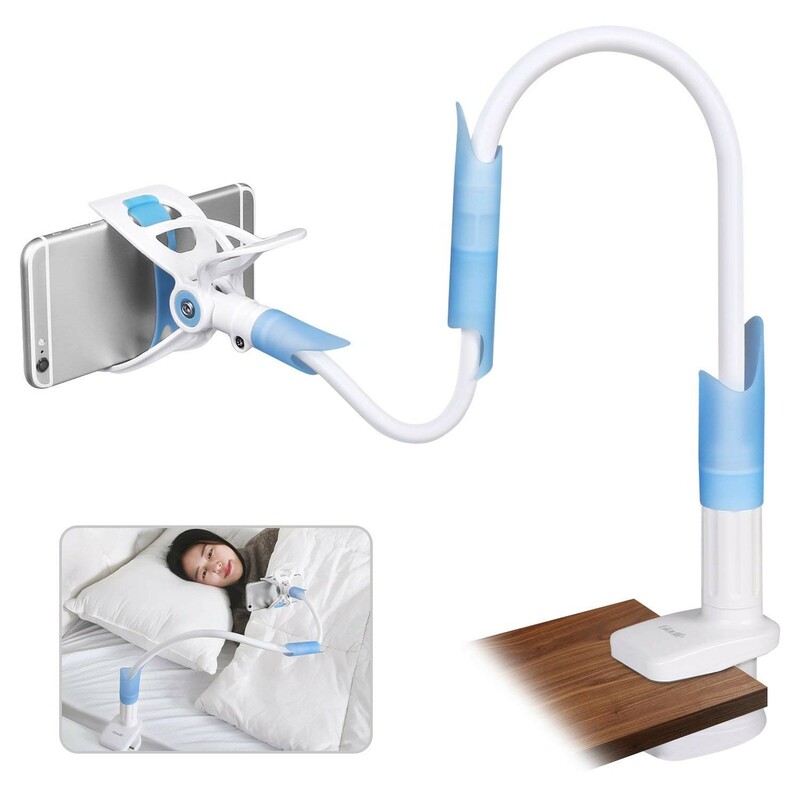 Cell phone holder arm can be easily rotated and flexible to hold your phone in almost any angle you might need. Rest your arms and let the holder do the work for you. Can hold almost all smart phones from 3.5in to 6.3in. Made out of durable material and anti slip measures on the clamp.